We found Ekotree Tree Scarves at Showcase In the RDS, the annual trade show for Irish crafts and products in 2014. We were taken by their vibrant colours and use of Kilcar Yarn to make high end fashionable Irish made Scarves. Diarmuid the man behind Ekotree is passionate about using sustainable practices in weaving and manufacturing. 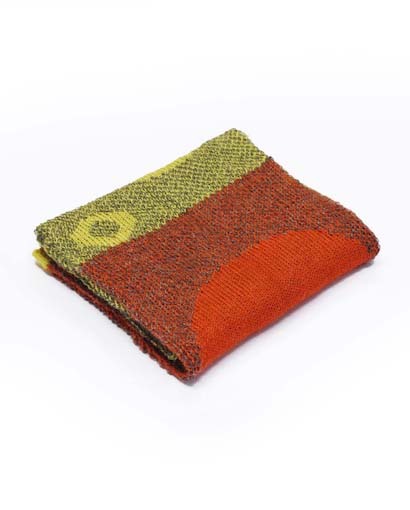 Describing Ekotree as designer makers of knitwear using fabrics such as; alpaca (shown above), lambswool merino, cashmere, mohair, linen and organic cotton. 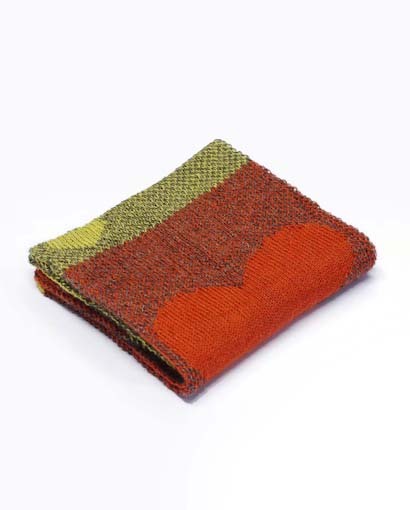 Ekotree draw their inspiration from “landscape textures and patterns as well as from the rich heritage of Irish Knitwear and modern styling”. Above is an example of the Newgrange range in terracota colour with heart or circle designs on either side measuring 185cm x 30 cm . Using Alpaca it’s soft to the touch and extremely warm. Based in Killaloe Co Clare, all Ekotree fabrics are sourced ethically , made and finished in Ireland. An Ekotree scarf while retailing a little higher than alot of our other scarves at €69.99 are made with huge effort and care and certainly worth the extra for such a beautufully finished high end product. Winning Best Newcomer 2015 at this year’s Showcase was a well deserved award.